As this will be the final HEAL Blog for 2014, I wanted to take this opportunity to take a look back at what may be one of the most important years for Hepatitis C. Rather than navel gaze upon my own brilliance, I thought it would be more appropriate to instead focus on the many successes (and potential opportunities) that have arisen over the year, as well as to highlight some bright spots for the future. At this time, last year, advocates and patients were anxiously awaiting the release of both Sovaldi (Gilead Sciences) and Olysio (Jannsen), having just recently received final approval by the FDA. While both of these products had shown remarkable SRV (“cure”) rates, what was more striking to both advocates and the media were the prices associated with the drugs. As both drugs hit the market, much ado was made about the “$1,000-a-Day Pill” (Sovaldi), and it was difficult to focus upon the good that the treatment option offered with all of the bad press over the price. With the majority of HCV patients being over the age of 55, it was all too likely that either Medicaid or Medicare was going to be covering the vast majority of the costs associated with treatment. This prediction came true, and both agencies, along with private insurers, helped Gilead Sciences propel Sovaldi into one of the most successful pharmaceutical launches in history…much to the chagrin of the payers. The price of Sovaldi, alone, was so astronomical (according to advocates, patients, and payers, alike) that, thanks to heavy media coverage related to its pricing structure, Congressional hearings were held on pharmaceutical pricing. Even with the high price tag, Sovaldi’s cure rate spoke for itself, and doctors continued to prescribe the medication, and payers continued paying for it, though not without first stating that it was becoming too much to bear. As part of its response, Gilead went above and beyond in offering their own Patient Assistance Program (PAP) to help defray or completely cover the cost of treatment for patients with income requirements that were both generous and reality-based. Gilead also is preparing its new Sovaldi combination therapy, which is still slated to hit the market in 2015, though a definitive price point has not yet been established. In the coming year, I look forward to helping shed greater light on these coverage options in order that every patient living with HCV has the option of available and affordable treatment for their illness. That said, I would like to thank the Community Access National Network, along with the ADAP Advocacy Association, for their continued tireless efforts in helping bring attention to the burgeoning HCV crisis, and look forward to our continued partnership. Happy Holidays, and I will see everyone in the coming year. One of my recent pieces, here at HEAL Blog, discussed the potential repercussions of the growing number states that have attained marriage equality. In that piece, I posited that the legal status of those marriages on a state-by-state basis may place certain couples, both sero-discordant and –concordant, at risk of being priced out of the health care marketplace for insurance coverage. In the following post, I discussed the potential ramifications that could arise as a result of the recent election, in which Republican politicians all but swept both the House and Senate, and what that might mean for affordable health care coverage, in the coming years. Today, in a continuation of my recent theme – that there is little surety in our current health care marketplace – and in conjunction with the current open enrollment period for 2015, I’d like to delve into a little bit about whether or not our “affordable healthcare” has done anything to actually make health care affordable. This topic has been weighing on my mind a lot, lately, as I participated in this open enrollment period like a good citizen, doing my part to ensure that my HIV treatments, doctor visits, and therapies are covered, allowing me to remain an active and productive member of our tax-paying society. I recently started at a new job – one that offers insurance coverage with a ghastly deductible, so high that I would have to sell a non-HIV-infected kidney on the black market just to pay that much – and in doing so, may have inadvertently priced myself out of any sort of affordable coverage. What’s frustrating about my conundrum is that I want to work a full-time, good paying job, not only because I enjoy the creature comforts that come with making a decent living, but because there’s little more I despise than feeling as if I’m not being productive. I crave the security that working 40-hour work weeks brings, along with a decent living wage to pay the rent, the bills, put food on the table, and have enough to enjoy a few luxuries, from time to time. What isn’t included in this equation, however, is whether or not I can actually afford the type of treatment that I need in order to ensure that my healthcare needs are met. For those living with a chronic illness such as HIV or Hepatitis C, not only can the illness take a physical toll upon the body, they’re also extremely costly to treat. Every time I go into my clinic, I can guarantee that my resultant bill will be no less that $2k, once the visit, the consultations, and the blood work is drawn. Not only will I leave the clinic faint and woozy from the loss of actual blood, but can later expect my wallet to be drained of its blood, as well. But, hey! That’s the cost of treatment, right? If the purpose of the Affordable Care Act was to make healthcare more affordable for everyone, I have to say that its main initiative is failing, entirely, because it fails to address the root of the problem – a market-driven, insurance-based health care system. Anyone who’s lived at or around the Federal Poverty Limit can tell you that, even with government based programs (like CHIP, SCHIP, Medicaid, and Medicare), health care still isn’t cheap, even when it’s entirely free. Appointments still have to be made, often on days that conflict with one’s work schedule, causing wages to be lost, and scheduling one’s work schedule around a doctor’s appointment is virtually impossible, as the time you actually get in to see the doctor can vary widely from the time you’re ostensibly scheduled. When one factors in the transportation costs, both financial and temporal, the length of the appointment, and any additional related (and often overly time consuming) appointments and treatments, you’re not simply looking at a few missed hours; you’re looking at nearly an entire day of missed wages, just to go to the doctor. And this doesn’t even take into account the wages lost if, God forbid, you actually get sick or injured and have to take time off from work to recover. For most people in dire financial straits, there often is no option – you go to work sick and/or injured, or you don’t eat, can’t pay rent, or keep your apartment lit. In one of the most economically advanced nations in the world, that this is the state faced by a population that works the longest hours for the least reward is unconscionable. So, at what point does the cost of health care get factored into my equation? While entering my information at healthcare.gov, I was again taken aback by the fact that nowhere in the application process was there a place to enter any estimates of your current health care needs. I know, for example, that the cost on my HIV medication, Stribild, is $36,000 annual in the state of West Virginia. Additionally, if I average all of the costs of my visits to my clinic over a single year, they tend to cost around $2100 every six months. With those costs, I’m looking at roughly $42,000 a year in healthcare costs. That number is not only well above the amount of income I currently bring in (working 40-hour weeks), but even with insurance, I’d still being spending well above the FPL just to meet the cost of my treatment. 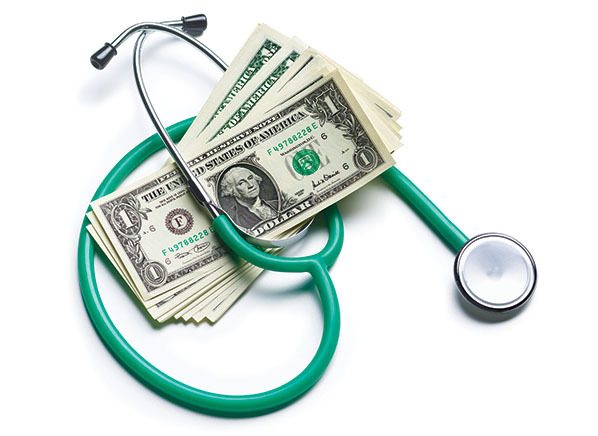 For 2015, the maximum out-of-pocket cost limit for any individual Marketplace plan is $6,600, annually. Again, this is a significant chunk of my income – well above what I can afford to pay if I ever expect to sleep, eat, or stay housed and warm. Another facet of the ACA is the measure that was designed to prevent Americans from paying so much for insurance – subsidies intended to defray some of the out-of-pocket expense for these Marketplace plans – now faces the legitimate risk that may invalidate that part of the law. In November of this year, the Supreme Court agreed to hear King v. Burwell, a case that hopes to determine whether or not the IRS has the ability to actually deliver those subsidies to Americans. The Court could not have taken this case up at a more precarious time in the ACA’s troubled history. This will be the third time in as many years that the Court will hear a case related to the legality (and Constitutionality) of the ACA, and this single case has the potential to not only result in even greater out-of-pocket expenses for American citizens, but to also serve as the death knell for President Obama’s signature piece of legislation. If, for example, the Court rules that the IRS cannot provide subsidies in 36 states, the entire purpose of the law may be completely undercut, basically sending literally everyone involved in the health care debate scrambling for a fix. This comes on the heels of the recent election, during which the vast majority of Republican candidates made “repealing Obamacare” part and parcel of their campaign platform…not that the current crop of Republicans hasn’t tried their damnedest to do so since 2010. And so, in filling out my application and healthcare.gov, I came to the realization that, for me (and for millions of others in my situation), there really are no “good” options; there are no “affordable” options. Furthermore, there aren’t any clear solutions that can help me meet both my financial and health care needs.